Keyline, keypoint, keyway – what’s what in the world of harvesting water? There are many keys within Keyline that seem to mystify people on this relatively simple technique that eludes most from explaining it eloquently except Darren Doherty. This reflects the old adage of Water, Access, Structures that Geoff Lawton uses as a guide for the design principle. The course itself was the highlight of the Carbon Farming Program as it by far lived up to my expectations. So much so that I have recently tried to explain keyline at a PDC and it worked! I don’t have every little thing figured out but the puzzle is almost complete. This all started with looking at the plow and putting it together which was a treat for all of us who plan on buying a plow in the future. After identifying our goals, Darren made the connection between the Keyline process and many of the other exciting and innovative movements of sound environmental management including the following: Holistic Management, Soil Food Web, and Zero Emissions Research Institute (ZERI). Darren was able to address many of the learning objectives we had identified in just one slide show. Using that knowledge was still yet to come, but he did a wonderful job of laying that baseline and making the interconnections between soil, water and carbon. You gotta go blue before you can go green or black was the punch line. This is a direct reflection of the keyline scale of permanence, but essentially you got to get water into the ground before you can grow healthy grass or trees which builds soil quickly. They are all dependent on each other and as one builds the other benefits and they help to make those other functions even more efficient. Natural systems are exponential when affected, either negative or positive. A little bit of influence either way can have ripple effects unforseen. With this baseline we were able to move past the inside theory of keypoint to outside identification and planning. So on day two, we marched out into the local rolling hills and looked for a Keypoint. Basically Keypoint is where the hillside goes from convex to concave and often where high order streams converge. Another tip for finding that point is where a hillside switches from erosion to deposition. You will often find a green point in a field where good silty ridge-top soil was deposited along with organic matter and the concentrating water has produced an unusual green. So we found one of those spots and began our surveying work. A lot of keyline work has to do with surveying and we learned several different techniques for this. However, for this exercise in the forest we were mostly using site levels. We laid out what would have been a keyline dam. It was huge and we found the keypoint and shot level from there around the hillside known as the keyline. It was a great excercise for visualization as we laid logs on the hillside to allow for a complete view of the dam size. With this knowledge we took it into the field one day later and the excitement built as Captain Plow (the keyline plow) was soon coming out. It wouldn’t be for one more day, but we were all anticipating the day very much so. Before that could happen we needed to gather some info for the plowing. To do this, you lay out the keyline. So as a group we identified the keypoint and shot from there. The keyline is a line that extends from the keypoint on contour until it hits the next ridge. Once it is there, it is a contour line once again. We looked at where the dam would be located again and looked at the soil to see if we could use the soil there. Although clay, it wasn’t the best for building dams, Darren said. So we took some readings and began to look at Mapinfo software and the power of GIS and GPS with broad scale agriculture. In fact with the coordinates of the keyline, Darren was able to do a calculation with drawing a very quick and simple map and approximation of the keyline dam of how much water it would hold. Throughout the course we’re doing outstanding calculations of how much rainwater is shed through this landscape at The Farm yet they pump well water up for their domestic use. Meanwhile they could be harvesting and storing ridiculous amounts in dams and the soil. Overall it was another insightful and fun day with Darren and family as evidence of the picture below of his son Zane. The following day we all woke up with excitement running through us as the we would finally see the plow in action. First we had to step back and look at the bigger picture. CO2 is being blamed for causing a climate crisis in which weather is unpredictable and extreme. Companies are buying their carbon credits to offset their environmental pollution. Carbon is being traded on global markets. Lots of people are making money off of this scheme including the “I am guilty of flying, so I check the box to donate.” So what is the best way to capture carbon, how many trees per hectare can you plant with that money, and what is the effect of the ecosystem from this actions? Carbon is a complex issue that needs more research from grassroots organization as Monsanto will somehow develop research that shows their industrial, chemical agriculture will capture carbon. Thus a community supported research (CSR) program was initiated at The Farm. Basically we need to gather information on how much carbon we are capturing and storing in the ground while also measuring mineral availability of soil when they have been treated with Keyline and intensive rotational grazing. With that, the day of collecting information began. Doug Crouch and Christian Shearer, director of the Panya project in Thailand, began to survey the rest of the keyline which would mark the first pass of the plow. From there the tractor drive simply drives parallel to the original giving the keyline pattern. Before this could happen others were doing soil sampling. Holes were dug, soil collected and labeled and GPS points taken at each location as well as other observations. A landscape reading technique from Holistic Management came in handy as some assessed the site through the bullseye analysis which portrays the overall health of the paddock. We took GPS of the keyline as well so we could continue to learn the Mapinfo 9 software. With all that done, it was time for the plow to go into the ground. It was not a huge success at first as the culters kept getting clogged. The culters help to slice the ground so that the shank can pass more smoothly through the ground. They paddock owner had the grounds bush hogged on the previous day which made the cut grass combine with the dirt to bring the machine to a halt. After several cloggings, Darren elected to take the culters off and just have a go without them. The culters when on produce a much more even and smooth cut which helps the paddock look better and recover faster. Then, after that off, the tractor went plowing and doing the subsoil ripping that this technology allows. There was lots of rocks in the paddock which caused a bit of wear and tear on the shear pins, but that is what they are designed to do. It also was a bit rough on the paddock as the culters really do open the earth up for a smooth cut. Many of the rocks hit were actually drawn up the surface of the paddock. ome of them were two or three person stones but mostly hand-held ones. It was exciting times and once we saw the first few passes it was time to head back into the classroom to summarize the data collected. The following day featured us venturing out of The Farm to Deana and Doti’s place, some course participants’ farm, where we were to put the plow in the ground once again. Before the course had started, Darren had decided which paddock we were to do and he later said he picked that particular one because of the lack of a keypoint and it would be a difficult plow pattern to generate. Again we started with surveying which I was on but training of others. We were using site levels and laser levels to do the work. We were measuring in 2m intervals across the long paddock to get flags in the ground to better read the terrain. This farm is also a spot were soil testing was done, thus holes were dug and field analysis accomplished. We went inside to load all the GPS points into Mapinfo and it started to rain. That wasn’t a good sign as you never want to plow when it is too wet so we actually had to cancel the plow session. However, we were able to learn more about broadscale permaculture through Q&A and also seeing the software being used. Overall it was another fun day as I spent a lot of time with Darren and Lisa that day discussing design and development. The problem of us not being able to plow that day turned into the solution of me wanting direct hands-on with the plow. A couple days later we put the plow in the ground at Deanna and Doti’s but I will get to that in a minute. The final day of the course ended with another visual representation of keyline with Darren at the sandpit. Sandpits are used in Permaculture Courses to display landform and transforming it through earthworks. That’s exactly what Darren did and it really solidified the knowledge for me to see it one more way. Darren made a descending main ridge with three primary valleys extending from it. He showed how the keylines don’t match up rather they descend as the keypoints are all at different altitudes corresponding to the main ridges fall. This allows for the dams to be linked up with gravity but not to just think you have one continuous keyline. You have to determine this in each primary valley and develop the plow pattern for each one. 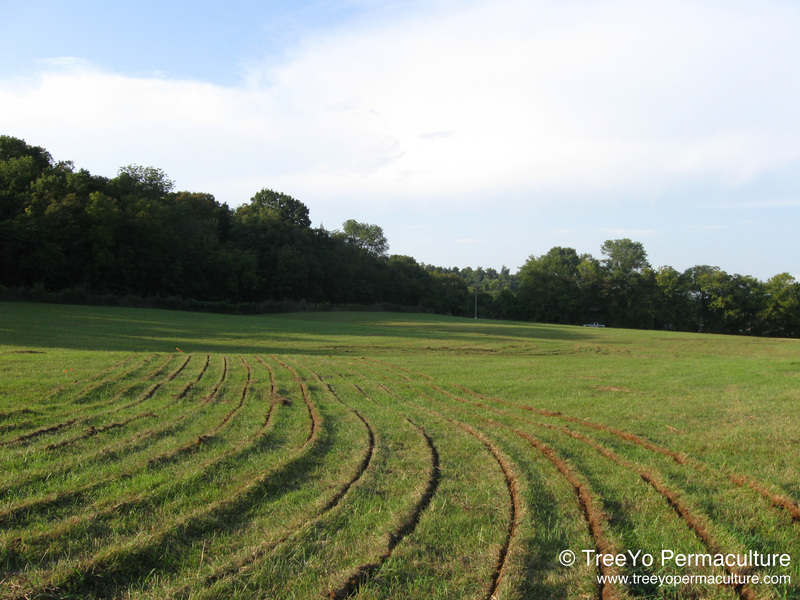 Once we had that done, we further explored the city forest development plan of Yeomans. If you have read any of Yeomans stuff, I highly recommend one of his later books called “The City Forest: The Keyline Plan for the Human Enviroment Revolution”. It’s a fascinating look into structuring new suburban developments to close loops essentially. He wants to create lush rainforests with all the excess nutrients and water coming from the household. It corresponds to the scale of permanence and where you put the housing in relation to roads and forests and so on. Look for it for free on the amazing library at www.soilandhealth.org. We also got see an amazing power point on Darren’s work within forestry using the keyline plan. It showed numerous systems for establishment, maintenance, and harvest. Once you get to that point then you have the direct marketing that makes the return in the end. Thats the key for farmers and foresters: get the product in the customers hands with your label through your own processing. That is where the money is to be made. Darren is a great example of a permaculture designer doing amazing work and making money. Thankfully Darren invests a lot of that profit from say a job with Mars in Vietnam, into travelling the world with his family teaching Permaculture and Keyline Design. So thank you Darren and Lisa for you amazing work and the laughs that were associated with this course. If you are reading this blog and trying to decide to take a course with Darren or not, do it!!! He is a wealth of knowledge and a great teacher as well as a light spirit to be around. You are bound to be inspired and enriched by his presence. Rarely do you find geniuses who are good teachers, but Darren is one. He has had the chance to live with Keyline all his life and it shows. This inspiration and knowledge lead a few of us to put it to practice straightaway at Deana and Doti’s place. So myself and a few students went out and had a go at putting the plow int he ground. Darren left us with a rough interpretation of the paddock we had assessed and we laid the pattern out. From there Brian Bankston put the plow in the ground. We were a bit too sharp in a couple of areas with our turns but overall the plow ran smoothly. Very little rock was in the paddock and it had such shallow roots from continual fertilization by the leasing farmer, that he culters smoothly sliced the earth open. I hadn’t driven a tractor since college but got the opportunity to do so there. It was a treat being up there and implementing this tool very quickly. It definitely gave me a better understanding of the pattern seeing it slightly from above and reading the landscape from the cab of the tractor. We were able to finish the paddock pictured above. The owners also wanted another paddock done, which myself and Brian Bankston did after the whole Carbon Farming Course ended. We laid out the keyline pattern with using just sight levels and mapping five contours. It was a relatively easy line to find as this paddock was not as wonky as the first. We simply made the pattern so the water that would normally quickly accumulate in the valley was brought to the ridge where it is spread and sunk. Water moves at a right angle to contour which is really efficient for valley run-off. However, by drawing water from the valley to the ridge we are able to build top soil and store carbon at an accelerated pace. Because water is actually entering the terrestrial body, the soil climate, as Yeomans would put it, is ripe for proliferation. Finally broad scale agriculture needs Keyline. If you are working with Keyline, I encourage you to spend the extra money and be as scientific as possible about testing and monitoring We need sound data on this technique to build soil carbon. Please start or support a community supported research project in your local area so that we may collectively progress this movement. We need community level responses in response to the challenges of agriculture and this is a brilliant example. Thanks again to Darren and all the classmates that made this a truly enriching learning experience. Thanks for posting this article about the class you did with Darren. I would like to take a class with him about Keyline Design. So your article is quite helpful in giving some good information about the class and how you liked it. Just found this one and I must say it is a great summary of what was the best Keyline Design Course I have ever done out of the many we have now completed. Would you mind correcting the spelling of my name however to ‘Doherty’ please? Thanks and again, great work. Great article, Doug – glad you shared it. I agree that Darren is a great teacher – so inspiring that Brian Bankston and I started our own Keyline company after this course! Is his son standing in a swamp? Where’s his lower half? Ha, we had dug a hole for a soil sample i believe and he jumped in and we refilled. Was good fun, Darren’s classes are always full of laugh’s and soooooo much learning. Really great combination. Initial rip lines don’t have to be very deep only 2-4″ (from experience, the designers manual and yaoeman’s work). Going shallow also makes it possible to use more widely available equipment like a box scraper with scarifiers instead of expensive specialized equipment and a large tractor and won’t pull up as many rocks. Also, reusable wire flags make it easy to visualize a contour without having to use heavy logs. 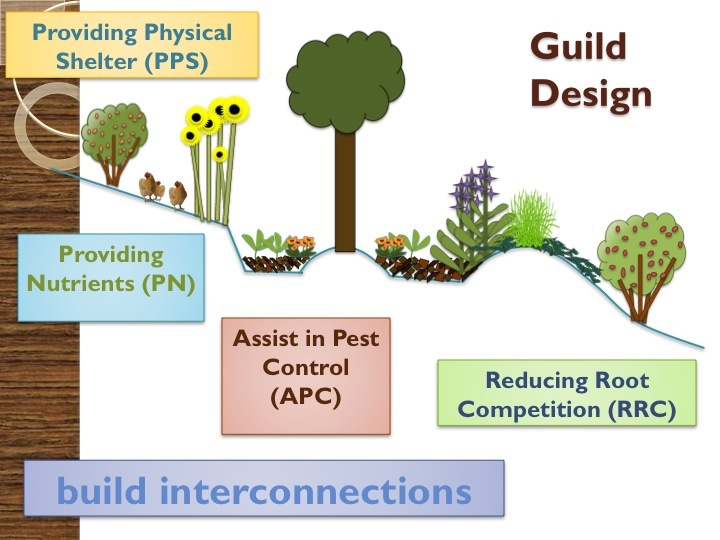 nice project and good to see the permaculture community doing keyline design. As i know it that is the depth you start at and over the course of the system you go deeper to encourage a deeper and more complex root system. This allows for more carbon sequestration to happen through more root exudates. As for the logs it was more of a demonstration of keypoint next to the classroom. Thanks for the comment!!!!! A nice article to chew on. I am curious to know if there are any examples regarding steep slope design? we live on a 20 hectare small farm in the highlands of minas gerais in brasil with alot of steep slopes.. Any information would be grateful. Hey Shawn, the thing with steep slopes is that tractors often are too dangerous to run on them. The age old tradition of terracing then becomes the best method for revitalizing on very steep slopes. Also there is spraying compost tea, using animals in rotation, and planting contour hedgerows. All help to infiltrate water and build soil in the short and long term especially in the tropics. Developing savannah like pasture systems is an important task there. Also finding points of initial runoff say roads and roofs can be an important point to pick water flow up and sink it with a swale say around the house where it maybe a more gentle grade. Thanks for the comment!!!!!! Darren is coming back to Tennessee for a three day course if you missed it the first time…like I did. We now have that plow you see in the pictures and will be putting in the ground on day three. Join us if you can. Great summary of your experiences! Could anyone recommend a technique for a small scale keyline using a grub hoe or other hand tool? Pattern is to plough from valleys to ridges to rehydrate. Try it on a small scale for sure! This is a very interesting concept. I am wondering if this practice could work in a relatively flat area (<4% slope) with the water source being an irrigation ditch. Does anyone have experience using this technique in this type of setting? Thanks in advance.